Did you know that the most endangered animals in the world are gradually facing extinction and may completely disappear in the few next years? Well, the list of the most endangered animals that are threatened by extinction features some animals that you could not even imagine. The sad bit is that most of these animals are mainly affected by the loss of their habitation mainly due to human activities or the climatic changes. Most of the animals that are in the closed path of extinction are included in the international union for conversation red list of threatened species. This covers all the animals that are at a very high risk of extinction unless a lot of drastic measures are put in place. Wondering which animals we are talking about? Let’s take you through a list of the most endangered animals that may soon be part of history if drastic measures are not taken. The Bornean Orangutan, Ili Pika, Giant Otter, Amur Leopard, Black-footed Ferret, Darwin's Fox, Sumatran Rhinoceros, and the White-Rumped Vulture. My thoughts are with the zoologist around the world who worked hard to do their bit to scientifically preserve these animals back from the edge of the endangered species list, so they can go out and multiply and bring forth many offspring for a new life to our Planet, to make the animal world a better place for our families future. We look today at this majestic creature the elephant, who have worked all their lives on commands in captivity are now at peace on their retirement to live a well-earned rest in their new habitat in Tennessee. Buddy, you need to add man to the endangered species list, because man will eventually become extinct, due to man's destructive nature. All of Earth's problems have been caused by man.....wars, pollution, destruction of our natural habitat, destruction of the wildlife.....everything. Man is on a self destructive path that will eventually lead to man's extinction. The only way that man could possibly survive, would be to migrate to new planets and set up colonies there. By doing that, we wouldn't have wars or disease....those things that have decimated the human population over the centuries. My older brother has an interesting theory about Earth. He thinks that the Earth renews itself every so many thousands (maybe millions?) of years. He thinks that, once the Earth is becoming so threatened by the inhabitants living here, that the Earth will begin to renew itself by destroying everything that is on the planet. It does this by having volcanoes erupt, and the lava flow destroys everything. Once everything is destroyed, the Earth will again begin to become hospitable to various forms of life, but of course, this will take millions of years to evolve, and whatever forms of life that do evolve, may not be the forms of life that we have now. All of this won't happen in our lifetimes, or our children's lifetimes, or even our grandchildren's lifetimes, but it does make sense. It might take tens of thousands of years, but I can see where this could happen. Look at what the condition of the planet is now in, I mean, does anyone think that it can get better, and if so, how? Various religious sects want to control the world, various governments want to control the world, a number of super rich people want to control the world, so how do we escape from these things?...we can't. I won't be alive to see what ultimately happens, but whatever eventually happens, well, I don' think it will be friendly to humans, and that would be the fault of humans. The sad part is that, if the planet does destroy all living things, then, when the planet begins to start over, the innocent wildlife will also be destroyed, and that would be the fault of humans. And again Mike, thanks for a very interesting link, for some years now the USA has been leading the way on pollution and us guys across the pond were just following in your footsteps, a wise and encouraging decision. And it makes so much sense to see the fast food chains are finally doing something to tackle plastic pollution. “A week after its hometown of Seattle banned plastic drinking straws and utensils, Starbucks said today that by 2020, it will use straws made from biodegradable materials such as paper……. “Plastic drinking straws makeup only about 4 percent of plastic trash by a number of pieces, and far less by weight. Straws add up to about 2,000 tons of the nearly 9 million tons of plastic waste that ends up in waters around the globe each year……. McDonald’s said it would switch to paper straws in the United Kingdom and Ireland by next year and test alternatives to plastic straws in some U.S. locations. The burger chain also said this year it would use only recycled or other environmentally friendly materials for its soda cups, Happy Meal boxes and another packaging by 2025”……. in my view just highlights the discussions in this thread, to say the least, my echoed thoughts, for some weeks now I’ve been harping on about the do’s and don’ts on this extraordinary thread. "How plastic is affecting our environment!" It only takes one person to start a movement that could possibly lead to a major environmental breakthrough, I’m encouraging flabbergasted probably the wrong word, to see our world is beginning to take heed on this scourge pollution. It goes to show that the customers can bring change if they want it enough. Critics point out that banning plastic straws would result in a negligible decrease in plastic waste. I honestly don't know the facts well enough to comment one way or the other. All I can say is that, like a bike ride, it is done one pedal at a time and it adds up. The hypothesis of humans becoming an endangered species: The more you study the facts, the more reality sets in by the day, Yes, it agitates me from time to time to read notes and make a mindful decision with-in myself how we determine or set ourselves on this “destructive path” annihilation to our race is becoming most frightening indeed. Of course, we are on the verge of our own unexpected extinction, we argue the existential risk as a Global priority, that international policymakers must pay serious attention to the reality of species-obliterating risks. Because our species we've already outlasted many thousands of years of disease, famine, flood, predators, persecution, earthquakes and environmental change. So the odds remain in our favor, how far away it’s going to be before we see a change to our existed Planet. The time frame of this century, the risk surmounts of extinction from asteroid impacts and super-volcanic eruptions, the risk still remains very small and negligible, but it’s my unscientific opinion a change is about to happen. Even the unprecedented self-inflicted losses in the 20th Century and two world wars, and the 1918 Spanish flu epidemic failed to halt the upward rise in the global human population, of a vying destruction. Nuclear war might cause an appalling destruction, but would enough individuals survive to allow the human species to continue. Unfortunately, I’m not savvy enough, to contemplate our own annihilation, (extinction), but the way I see it, it would be a catastrophic end to our civilization and a total apoplectic to our environment as it stands right now, for the bad of course. Your older brother, a man with an express vision of Earths future, one, who has some valid points. “And if so, how? “That’s why governments today spend billions of Tax payer’s money on research, on life outside the Universe, so when things go “Bang”, only the super-rich will route survival to another planet. They will also tell you, research about other planets, enhances our life’s wellbeing on Earth, which still has to be proven. Why! We still remain the only species on earth and the Universe so far. The rest is all “Science fiction” Probably my unexplainable theory. Habitat loss poses the greatest threat to species. The world's forests, swamps, plains, lakes, and other habitats continue to disappear as they are harvested for human consumption and cleared to make way for agriculture, housing, roads, pipelines and the other hallmarks of industrial development. Without a strong plan to create terrestrial and marine protected areas, important ecological habitats will continue to be lost. Around half of the world's original forests have disappeared, and they are still being removed at a rate 10x higher than any possible level of regrowth. As tropical forests contain at least half the Earth's species, the clearance of some 17 million hectares each year is a dramatic loss. The science behind the bulldozers. Forest roads are the base infrastructure foundation of forestry operations. These roads entail a complex engineering effort because they can cause substantial environmental damage to forests and include a high-cost construction of trees being damaged by bulldozers during forest road construction. Humans have a bad impact on the environment. Humans would have had a greater impact on the environment if we were living like cavemen. If you think about it cavemen did not cut down forests they did not pollute the air and many other horrible things we humans do. Overpopulation, Pollution, Global Warming, Climate Change, Genetic Modification, Ocean Acidification, Water Pollution, and Deforestation. Are we surprise we're doomed on this “destructive path” of extinction by our doing. Is our environment/ecosystem, our Planet on a whole being destroyed by human greed? Are we over-using our natural resources, more than the Earth can replenish each year? Buddy, I remember reading an article where a scientist said that, if man wanted to purposely do everything he could to try and destroy the planet, he couldn't do a better job than what we are are now doing. Another thing that came to mind reading your above post....we get a lot of our drugs from the Amazon Rain Forest, so by destroying the Rain Forest, we are destroying our chances of finding new cures for diseases. What made me think of that was a 1992 movie that I have called "Medicine Man", starring Sean Connery and Lorraine Bracco. It's a really good movie, and it's about that exact same thing...destroying the Amazon Rain Forest, and with that destruction, possibly destroying a cure for cancer that he discovered. And you’re so right Hammer, as the saying goes we couldn’t have done a better job. Destroying the Planet and we’re making a good job of it. Some years ago, seems like a long time, my Pharmacist of a Philippian origin, a friendship grew, between us, because we share the same view on what new prescriptions are coming in for me, by my Doctor. So he can thoroughly vet them. However, a point he always raised, when having a chat, the way our rainforest is being diminished year after year, for the sake of improving infrastructure, if things are allowed to go on like this for much longer, I can see some shortages of medications on our shelves in years to come. Because we share the same view, though he had a relevant point. You see Hammer, how many of us today take it for granted, or does not even comprehend the fact, how many medicines originally in plant form comes in from the rainforest. (Quite a lot) But having said that, we set out to destroy it. For maladies ranging from nagging headaches to lethal contagions such as malaria, rainforest medicines have provided modern society with a variety of cures and pain relievers. Quinine, an aid in the cure of malaria, is an alkaloid extracted from the bark of the cinchona tree found in Latin America and Africa. Wasai: Great for kidney health, the root of the wasai tree is often ground up and prescribed as a diuretic. Lapacho: Used to treat cancer, alleviate pain from chemotherapy, and fight infections. Cordoncillo: This plant is used as an anesthetic for those who are ill or have suffered an injury. Tawari Tree Bark: The bark of this tree has multiple anticancer properties, and is useful in treating infection, cancerous cells, tumors, and inflammation. Pusangade Motelo: This medicinal plant makes you happy! It’s used to relieve anxiety and has a calming effect on the consumer, a good alternative to clinically-produced psychotropic medications. Cola de raton (Rat’s Tail): While the name hardly suggests it, cola de raton is used to help with digestion. Canellila: Often used to treat women with ovarian cysts, Canellila is also believed to be one of the medicinal plants that could increase the likelihood of conception. Brazilian Ginseng: An aphrodisiac, healing tonic, energizer, and immune system enhancer, Suma does a lot of good. On top of all that, it also has anticancer properties! Shapumvilla: Said to have coagulant properties, this medicinal plant is used to stop bleeding. So the next time we stop-by our Pharmacist, give it a thought how many plants contributed to most of the medicines we use today, I’m also aware they are also quite a few synthetic ones. in an attempt to recycle plus make householders reduce waste there will be a new system introduced in the near future. 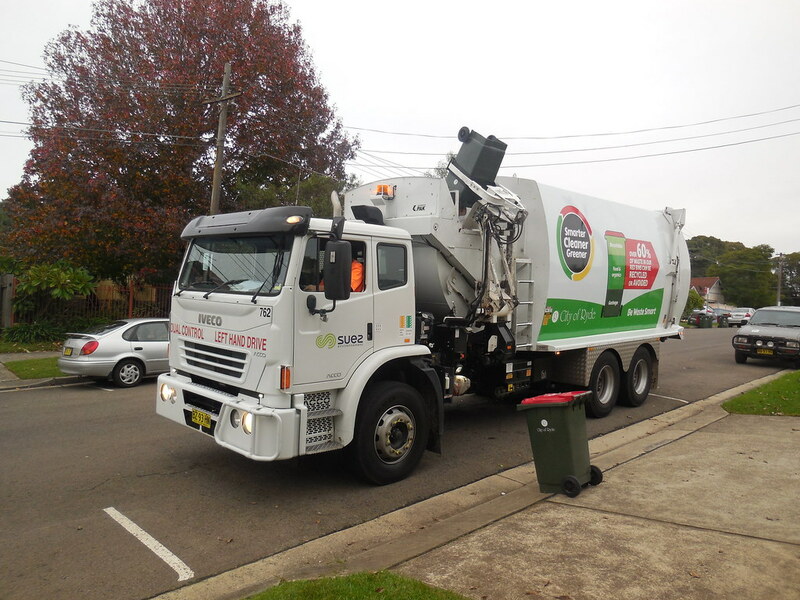 Household trash like that bin pictured with the red lid will only be collected fortnightly instead of weekly. Food waste will be put in the green waste bin along with grass clippings & shrub prunings & that will be collected weekly. Each household will be issued with a roll of degradable 'plastic' bags & a small bin suitable for the kitchen bench. Food stuffs including bones are to be put in these bags. Even dog poo will be recycled but not cats waste. The bin for recyclables like paper, glass, aluminium etc will still be collected fortnightly. There is a war on waste. More and more Borough councils in the UK are vying to shift our weekly garbage collection to fortnightly, collections of late has become somewhat controversial, where our government want things to remain as there are, but the lefties, think by shifting collections to fortnightly, to follow EU targets will boost recycling rates by 50%. My view, why can’t they all stop faffing about and keep things as there is once a week. There’s no doubt about it, any which way we the Taxpayer still have to pay for the service, which is not cheap. “There is a war on waste”. And the money grabbing baskets knows how to get it out of your pockets. The degradable 'plastic' bags, “Yes” But small bin suitable for the kitchen bench waste would always create a problem left outside for collection or putting in the appropriate bin for collections, kind of gives way for the urban foxes. I got around to opening the small bin with the roll of bags within.. it seems the bags are made with plant starch & not plastic as I thought. Thats got to be the first time I've ever been wrong. These plant starch bags feel like one a neighbour gave me filled with ' thank you' gifts when she returned from Italy. The roll of 150 bags is estimated to last the average household 1 year if 2 or 3 bags are used each week. Theres a problem... my dog poo's daily & I am not going to untie that bag after one deposit. is that it will cause neighbourhood disputes as others will be filling our bins when put out at night before collection. “It seems the bags are made with plant starch & not plastic as I thought”. This can’t be a bad thing Lee, has to be on the right path, environmentally friendly these new bags, I suspect, may be biodegradable organically, an organic matter of waste which can be broken down into carbon dioxide, water, methane or simple organic molecules in the soil, which avoids pollution. “The main issue I see with having household trash picked up fortnightly that it will cause neighborhood disputes”, I totally share your view, and fortunately our Borough Council is still humming and harring on what to do, sure, we’ve got that to come. The way I see it, fortnightly collections, you’re always going to have others on your street/road, see if fit for whatever reason, i.e. miss their collection, will always attempt to use your bin when left outside overnight for next day’s collection, to dumped their garbage in it, and hope they won’t be caught. Another thing with fortnightly collections, even now, on weekly collections, I struggle with overspill bins, to go a further week is just blatantly disgusting, this means more excess garbage on the floor or at the kerbside when you put out the bins overnight, the urban foxes like that. The next thing you’ll get is a letter from the Borough Council, you’re not keeping your environment tidy. The ubiquitous plastic bag in all form just has to go, just a matter of time. I only use plastic bags for trash. Each room in my house has a trash can lined with a plastic bag. When trash collection day comes (on Fridays), I remove each bag from it's trash can, and place them in the kitchen's trash container, which is lined with a contractors plastic trash bag. This bag is a 42 gallon (159 liter) trash bag that is 3 mils thick. When all of the room trash bags have been placed in the contractor's trash bag, I take the bag down to the basement, spray a few sprays into it from a bottle that I have filled with ammonia, then close the bag and secure it with a tyrap. The trash bags have "ears" on them that you can tie together to close the bag, but they are not as airtight as using a tyrap, which is why I use tyraps. The reason that I spray ammonia in the bag is so that, if some animal tried to tear into the bag, as soon as they do, their nose will get a strong dose of ammonia. Many years ago I'd place my trash in a trash can, place the lid on the can, and put it out for the trash collector, but many times, it was windy, and when I got home from work, I'd have to search the neighborhood for the can and the lid. I finally got tired of that, so I switched to plastic bags. Buddy, it's not the plastic bags that are the problem, it's the people who are indiscriminately throwing them away that are the problem. Plastic bags are not polluting the waterways, it's the people who are throwing their bags into the waterways that are polluting the waterways. It's no different than the gun issue...guns don't kill people, people kill people. Don't blame the plastic bags for creating the problem, blame the people who are improperly disposing of their plastic bags for the problem. I will never give up my plastic trash bags that I use to throw out my trash, simply because some people don't care about how they get rid of their trash bags. Inanimate objects like trash bags don't cause problems, it's humans that cause the problems. If everyone disposed of their plastic trash bags properly, then plastic trash bags wouldn't be an issue. I don't care if they imposed a tax on plastic trash bags, because I will continue to use them. They are more convenient and sanitary than using paper bags for trash. Know, where you’re coming from Hammer, and in a strange way I have to agree with you, to go a similar scenario route, my theory is if you’re caught with the preverbal smoking gun, in all due respects you go down as the shooter. We indiscriminately discharge our plastic bag and other single-use plastic bottles, when finished with them, course it’s us, humans, to blame. However, unless you’re living under a rock somewhere in the Savannah desert, most people and organizations around the world today knows full well by now, we’ve got a plastic pollution problem. No plastic bag walks itself from the Supermarket, and dumps it selves in the waterways or the ocean, this blatantly has become the thoughts of us humans beings. Some time ago I touched on the argument of diversity, and awareness of plastic hazard on this thread, and if I may add: Diverse organizations are working to change the way plastic is viewed and how plastic waste is handled, through strategic planning, communication, consumer awareness campaigns, raising business awareness, documentary films, education, clean-up campaigns, scientific research, entrepreneurial innovation, legislation, and sustainability. The aim is to increase understanding of the plastic pollution problem so more sustainable solutions are found, innovations implemented, and more people and organizations are empowered to take action to stop plastic pollution and live plastic-free. Solutions include recycling, new technologies, legislation, changes in individual attitudes and habits, responsible business processes and practices, and paradigmatic changes on a global scale. The scourge to our Planet Earth, plastic as an industrial product been around since 1862, since the last ½ century things have become more upscale and deemed to become a national issue. For the last half-century, plastic has become an integral part of our daily life. From furniture to grocery bags, from vehicle parts to toys, plastic is an unavoidable element of our lives in a variety of forms. However, from being regarded as a very vital presence in the contemporary world, plastic has now come to be looked upon as a material of immense potential destruction and harm. As is commonly known, plastic isn’t biodegradable, which accentuates the threat of lingering waste plastic for years and for generations to come. My Dear Hammer, I do understand how passionately you feel about the use of your plastic bag, I won’t even consider taking those rights away from you. In my view the controversy that’s currently been caused by plastic use, we all need to step back and take heed. I have no doubt the ubiquitous plastic bag in all form just has to go, it’s just a matter of time. Unfortunately, we do not share the same view as we so speak on this thread on legislation one which I reiterate I’m a great believer of. But where that’s going, to get governments and people like myself around the world, if the understanding of awareness and ignorance does not play a subdued part in today’s society. We pay the penalties, one way in making people understand how serious pollution has become. “If everyone disposed of their plastic trash bags properly, then plastic trash bags wouldn't be an issue.” Hear you! Hammer, what still infuriates me I personally mixed my garbage/trash? The law has no hesitation in dealing with me. And once the plastic bag scenario is all done and dusted, the law will apply to you as well. I get so incandescent with rage when I see many of our endangered species come to an ill-fated death, where most of their habitat is destroyed by plastic pollution. We live, why do we not let our animal-life do the same, they are not aptly diverse or intelligent as us humans, so in most cases, plastic are now becoming part of their daily diet. We as humans have a historical right to care for our Planet Earth, we also have the responsibility to do something about it. But having said all this, the world is finally, starting to wake up to this enormous problem of world pollution. As I said on this thread before animals are not aptly intelligent like us humans, contaminate their habitat with the ubiquitous plastic bag, and strangely enough, it becomes part of their diet. As we see this so many times with marine animals. Here we have a majestic Highland bull on the Ilse of Mull Scotland, and if you take note, with all lush green grass around the cow, but as you can see quite clearly, chomping on a plastic bag. This is very sad indeed. I find myself again, using One Eye’s cliché “I shake my head”. And who put that plastic bag there, us humans, of course. No plastic bag walks from the supermarket and dumps itself on that lush green pasture. What causes air pollution? Air pollution results mainly from the incomplete combustion of several fuels, such as coal, petrol, and wood. The primary sources of pollution from combustion are furnaces in factories, engines in vehicles and burning of trash, in the form of particles or gases. Air Pollution is a harmful substance to the atmosphere resulting in damage to the environment, human health, and quality of life. One of many forms of air pollution occurs inside homes, schools, offices, in cities, across continents and even globally. Air pollution causes damage to the environment. Air pollution cause depletion of the ozone layer, which allows a greater amount of ultraviolet rays to earth, that can be harmful to humans. 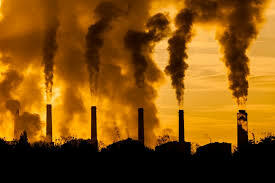 Some air pollutants return to earth in the form of acid rain, which it can corrode statues and buildings, damage crops, forests, makes lakes, and streams unsuitable for fish and other plant and animal life.Smog is another result of air pollutant which is in the form of fog that is harmful to humans. Global warming can also be a cause by air pollutants, which causes the earth temperatures to increase. This affects the whole earth as one and leading to a rise in global average temperatures. Air pollution is changing the earth's environment, if we continue polluting we can have serious consequences that can change the earth and health of humans. The old cliché “I'm going out for a breath of fresh air”, seems to be an overused phrase we often hear throughout our lives. Unfortunately, that fresh air isn't exactly what it’s cracked up to be. How pure is that breath of fresh air? Since we share everything on Earth, even the air we breathe, with every living thing on the planet, what happens in one area affects everything too, no matter how far away. Pollution or the introduction of different forms of waste materials in our environment has negative effects on the ecosystem we rely on. Emissions from different type of transport, the burning of fossil fuels, industrial production, forest fires, aerosol use, and radiation are some of the main causes of air pollution. Which of course brings with it life threating diseases. Globally, it’s estimated that around 7 million people die every year from exposure to fine particles in the polluted air that lead to diseases such as stroke, heart disease, lung cancer, chronic obstructive pulmonary diseases, pneumonia respiratory infections, including, Asthma, Emphysema, and Chronic Bronchitis. You can’t escape from it. Everybody has to breathe, and when the air isn’t clean your health is affected. Air pollution is a problem for all of us. You might think that you are healthy because you eat, and do only healthy things, so you cannot be sick, or get cancer, allergies or even die. Everybody is affected by air pollution. Air pollution is a most serious problem of the current time all over the world especially in the large cities because of the huge level of industrialization. How many of us today still have these ghastly industrial chimneys discharging their hazardous waste. Buddy, I used to ask that question...."What's the main cause of air pollution?......AIR!" But all kidding aside, I watched a Youtube video a few years ago about just that, air pollution, and the video was about something that you may have heard about.... the Great Smog of London, in 1952 that killed 12,000 people. That was air pollution at it's worst. So Buddy, what are you doing to change things? My Dear Kit, kind-of a tough question, in my reply, now if I was doing a 9 to 5 in one of the UK's Meteorological office, probably as a (Scientist), which I’m not, probably would have the answers for you. But as it stands, academically I do not have the qualifications to answer such a question. At the moment my comprehension hinges itself purely on research and common sense. You know sometimes we just have to go with the flow. The topic "Air pollution" won’t change your life or come to think of it no other health or wellbeing it’s always about the perceiver. One can only hope this answers your question. I look at it this way. You can either wallow in what is wrong, which I feel is the purpose of this thread, or you can focus on what can be done to improve the situation. For example, what can we as individuals do to make things better. There are small things that can be done by individuals. reduce the amount of waste we each produce. It doesn't seem like I can do a lot. but I can reduce the waste I produce. Go for reusable packaging. Or packaging that can be safely composted. Keep our own areas clean. A neighbor of mine walks his dogs every morning. He noticed, especially on the weekends, that he'd see a lot of garbage littering the entry road to our subdivision and the long road down to the park near us. So every Saturday and Sunday morning, when he walks his dogs, he also picks up the litter and properly disposes of it. Now its no longer clogging the fields and is away from local wildlife, at least in our area. And once you start looking at things like that, you are more likely to pay much more attention to your own behavior when you are away from home. Then there are things we can do as groups. What organizations out there are focusing on the problem? Volunteer your time to help those organizations. Or, if that isn't possible, donate money. Or you can focus on policy. There was enough pressure from the community, that Seattle eventually put a ban on plastic bags and why most of the surrounding areas are doing the same. Or maybe education. Helping others become aware of the situation and provide ways they can also take steps to improve the situation. A 10 second Google search brought up this site with some suggestions on how we can start as well as listing a few groups who are actively working on the problem.. Your video jogged my memory, and some of the stories my worked colleagues have told in the past, can’t say they were pleasant ones. I can recall working for the UK Transport probably around 1961-1966, can remember vividly how extreme the fog were, worked shifts at the time, but that didn’t matter, December 1961-62 it was very foggy in London it was one of the worst fog I’ve ever seen, for many weeks nothing moved both in London and Scotland not even football matches were played. Complete dense fog, can recall putting your hands in front of yourself and no exaggeration it was impossible to see your hands, as I said nothing moved, there were accidents all over the place to those who thought they can still drive, and what was unpleasant daily fatalities, the aged, children, stillbirths, getting to the Hospitals, people just couldn’t cope with the health issues the fog generated at the time. People walking into things, may it be ongoing traffic, people walking off bridges into rivers etc. Yes, things were very bad. 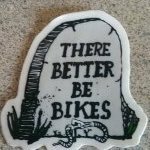 Around that time the general fatality rate was around 30-40 years. But like most things. 1962 was the last of the real serious fog London had. Yes! 1961-62 forty days with ice and fog an ambient temperature fell below -25°F. So not only did we had to put up with the fog, but we call it at the time freezing fog. But life carried on, we went about our daily business with some care of causing injury to ourselves. Nothing like 1952 where 12,000 people were killed. And just remembered most houses at the time burn fossil fuels to keep warm, which didn’t help just created more smog. My experience at the time can recall just started my working career was about 18 at the time.